Printer Comparison has tested a color laser printer from Lexmark. This multifunction printer is called Lexmark C792de and has very fast print speeds in addition to having a larger color LCD screen with touch abilities. Printer Comparison ends up giving the C792de an overall score of 4 out 5 possible stars. The printer scores highest on print speeds, ease of use and print quality, while it scores a bit lower on operational costs and features. On the positive side the reviewer finds the printer very easy to use, it is quick and has some useful business features. There are some negative points too including its big size and USB port does not work with Word Docs. 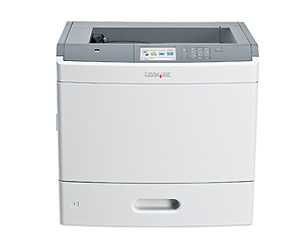 Read the full review of the Lexmark C792de multifunction color laser printer here.